Highways gritting teams are geared up for the challenge of the coming winter on the county’s 5,800 miles of roads. The £7m winter maintenance budget will see 54% of the roads gritted on one of England’s largest and in places most remote road networks. 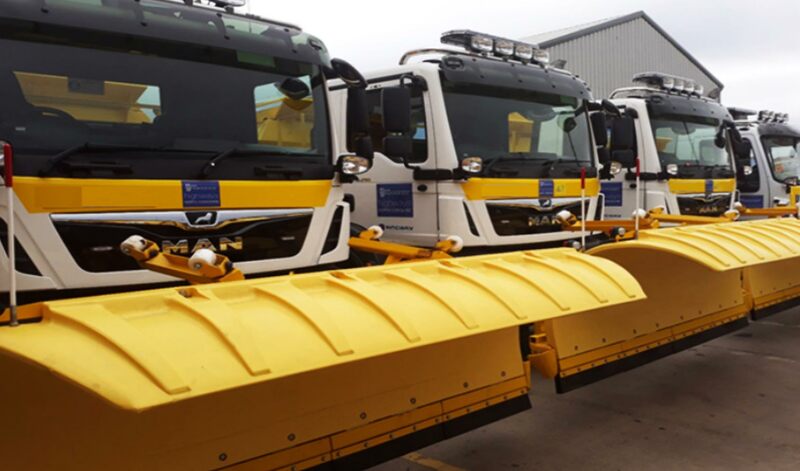 Eight new replacement gritters have been added to the fleet, making a total of 86, and there are 111 farm contractors, five road snowblowers and seven footpath snowblowers. North Yorkshire County Council has 55,000 tons of salt stocks in our barns and 8,000 grit heaps and bins. The gritters are on call 24 hours a day. Last year 12,385 routes were treated. The county council places the highest priority on its winter maintenance budget because it is a service which is vital to our residents and very important for elected members. Coping with severe winter weather on a big road network is a complex operation, but it is a top priority to keep the county on the move, We will grit as required to keep our highways open. Our first priority is major routes which connect or go through the county’s towns and we will clear these before moving on to our second level of priority routes which give access to smaller communities. While we do everything we can to keep traffic moving during severe winter weather, it is important for drivers to drive with caution and consider whether their journey is absolutely necessary. Leah Morrison is one of the gritter drivers and can find herself going out at all hours of the day and night during severe winter weather. It’s a fun job and I love it. We can’t do every single road across the county, but we do our best and I get to use snowploughs and who wouldn’t want to do that? The County Council uses the latest weather forecasting technology in planning its gritting operations. This includes ice prediction weather stations, a 24-hour weather forecast and road temperature sensor data.